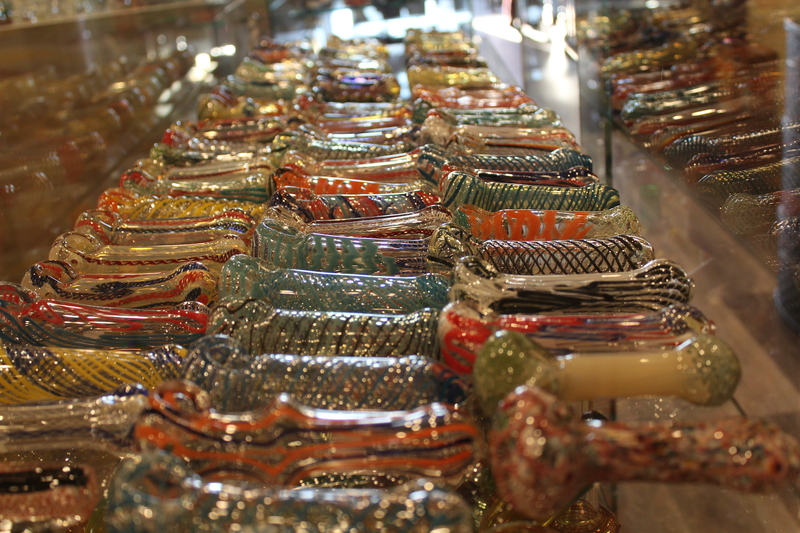 Glass pipes and hand pipes are one of the most common ways to smoke. These hand pipes are compact and portable, they also do not require water so you can use them anywhere. Take your favorite pipe on a hike, to a music festival, or snowboarding! If you prefer water filtration in the palm of your hand, check out our selection of water pipes. Buzzn offers a huge selection of glass pipes, hand pipes, and spoons in a variety of designs and sizes. Whether you want a basic piece or something a little more special, we have a glass smoking pipe for you! Many of our pipes are works of art! We have pipes in a wide variety of shapes, sizes, styles and prices. Whatever your budget, we can help you find the perfect pipe to enjoy. With such cool pipes from so many different brands, you will not be able to wait to start smoking with your new purchase! One of the most common (and comfortable) ways to toke is by glass pipes. All glass hand pipes have a bowl where you pack your legal herbs or tobacco, a carb hole is usually located beside the bowl, cover this as you light your bowl and release when you’re ready to take a rip! Since glass doesn’t conduct heat, the mouthpiece never gets hot so you can enjoy extended periods of time just toking away! Pleasantly portable and never lacking character with Buzzn’s Pipe immense selection of DESIGNS and STYLES [character themes, detailed masterpieces, color accented, SPOON pipes, fumed colored glass, heady glass, PAPA pipes, dichroic accents, animal themes, frosted surfaces, and cleverly disguised pipes] you’ll want to just get them all! Find the perfect glass hand pipe that gets you Buzzn and keep your smoking experience fun! We are located in Broken Arrow & In Tulsa Oklahoma.